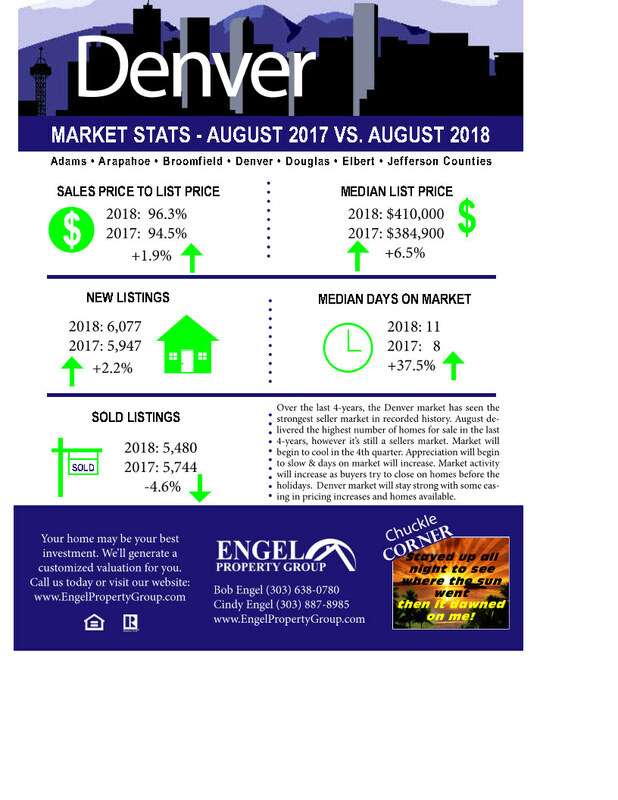 August Real Estate Market Report. Denver housing inventory rises to highest level in 4 years. The Denver metro area’s housing market is showing signs of a slowdown in the rate of price growth as inventory increased to the highest level in four years, according to the Denver Metro Real Estate Market Trends Report. The report shows both average and median prices have dropped from July. The median price for a home in metro Denver in August was $410,000, a 1.20 percent decrease from the previous month. Housing inventory in the residential market hit a four-year high year to date in August with a total of 8,228 homes on the market, up 11.79 percent from last year. “Over the past four years, we’ve experienced the strongest sellers’ market in recorded history,” said Denver REALTOR Chairman Steve Danyliw in a press release. “This past month, we saw available homes for sale increase to the highest level in four years giving buyers more homes to choose from.” Still, Danyliw says market conditions favor the home seller and the next few months should see increased activity. The highest priced single-family home sold in August was a $6,750,000 Larkspur property with 7,704 square feet representing four bedrooms and seven bathrooms, the report read.